Have an idea for a birthday, get well or sympathy card let me help you bring it to life. Remember color and graphics can be changed. Thank you for choosing my custom line of greeting cards and crafters coaching classes. I know there is something for you here and if not I can design and create it for you. 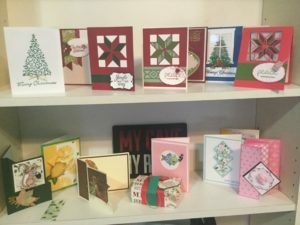 My name is Ann, I have a passion as a creative being and it is with passion, love and compassion that I designer and hand stamp each of my unique greeting cards. I am proud to construct each card with the highest quality materials for a long lasting effect. When planning to create a new card I think about the person or group who will be receiving the card. I imagine what would put a smile on their faces. When you have a special occasion or a just because let me help you provide them with a keep sake and most importantly put a smile their face. As you look through the catalog if you have any question or would like to consultation please click on the contact button on any page of the site. Let's make someone happy today. My passion for the arts and crafts has afforded me to win in 2016 second and third place ribbons at the North Carolina State Fair. 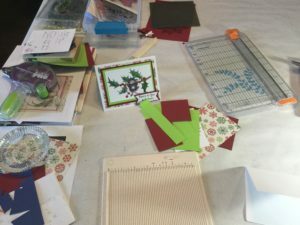 If you have a passion for the crafts and are interested in card making feel free to join me for a card making workshop.